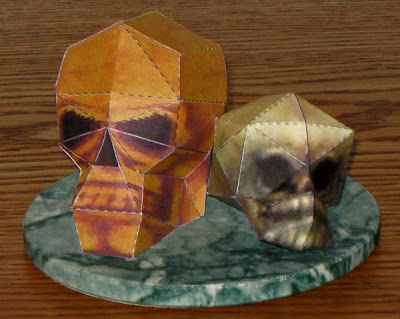 What these two unrelated skull papercraft have is common is that they were both ripped from video games. On the left is a golden skull treasure reward from Tomb Raider IV: The Last Revelation. On the right is a skull that appears in a treasure chest in American McGee's Alice. The original templates for these were both very small so I enlarged them so that each template was as large as possible yet still fit on one sheet of letter size paper. The resulting skulls are 2.5" (6.4 cm) and 1.75" (4.4 cm) tall. 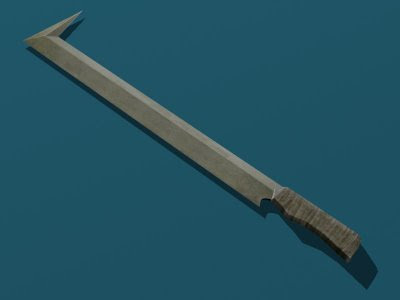 The Tomb Raider skull was ripped and unfolded by Alex at Saschacraft Papercraft and may be downloaded here. The Alice treasure chest skull was ripped and unfolded by the Webdude and is available for download here. In 2008, Nokhookdesign hand-screen T-shirt shop in Thailand sponsored the "Nokhook Paper Toy Project" in which a blank template was issued along with a call for original papertoy designs. 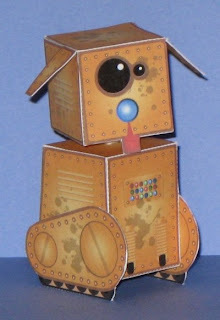 This papertoy is one of the many designs that resulted. Based on the character "Eve" in the Disney movie Wall-E, this template was created by the owner of the DIY+ blog and is available for download here. 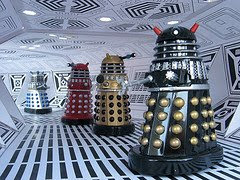 When comic artist Matt Brooker couldn't find an appropriate backdrop for photographing his collection of miniature Doctor Who Dalek toys, he created this modular Sci Fi corridor system out of cardstock. The possibilities of Brooker's system are endless. 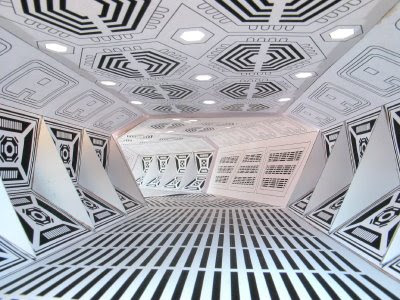 The corridors might be used as a background for photographing Sci Fi papercraft or to create a pape rcraft diorama. The system might also be used for miniature gaming. What appear to be light fixtures on the ceiling of the corridor are actually nothing more than holes that allow outside light to enter. PDF templates of the various components of the corridor system may be downloaded here. 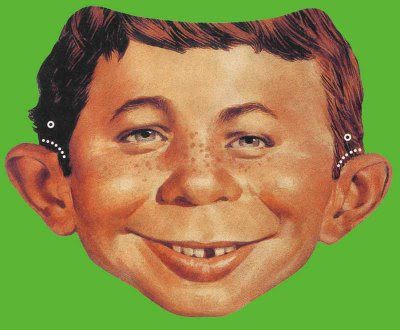 Alfred E. Neuman is the iconic fictional mascot of the long running American satirical magazine, Mad. Since he was first seen on the front of Mad in the mid 1950's, Alfred has appeared on all but a handful of covers invariably accompanied by the printed phrase "What, me worry?" This mask is a scan from an old issue of Mad and may be downloaded here. While it may look like some kind of science fiction cockroach, this papercraft is of an actual animal that lived on Earth millions of years ago. 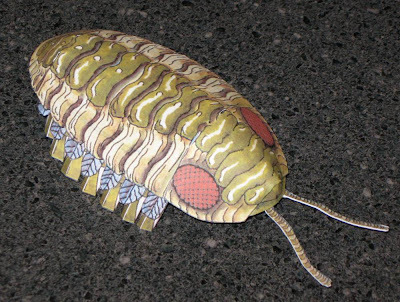 Trilobites were a group of marine animals that according to scientists became extinct around 250 million years ago. This paper model trilobite was originally created by the Australian Geological Survey Organisation to teach children about fossils. The one page, hand drawn template for the trilobite may be downloaded from the Houston Gem and Mineral Society website here. 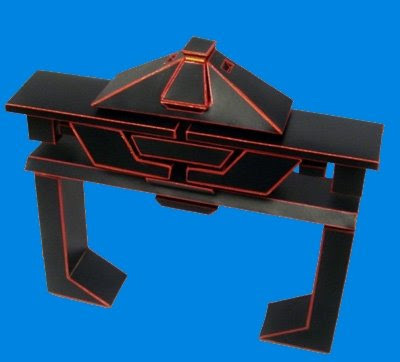 In the 1982 movie Tron ominous hovering vehicles called "recognizers" are used by the army of the villainous Master Control Program to capture programs and guard the game grid. 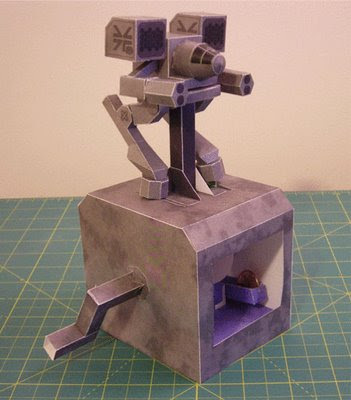 The designer of this papercraft has attempted an accurate recreation of an recognizer even going as far as using clear acrylic rods to give the illusion that the individual parts of the recognizer are hovering separate from one another just as they appear in the movie. Downloads of both color and un-colored templates are available here. A template for a display stand is also available. This model is the work of Marco Scheloske, Germany, 2003. In the Marvel Comics universe perhaps no hero wields greater magical powers than Doctor Strange, Sorcerer Supreme. Doctor Strange possesses numerous magical artifacts which he uses to amplify his power, but there are only two he keeps on his person at all times. One is the Cloak of Levitation wrapped around his shoulders and the other is the Eye of Agamotto fastened at his throat. In this papercraft design I created two versions of the Eye of Agamotto to reflect the varying ways the amulet has been portrayed by different comic book artists over the years. In some cases artists have portrayed the amulet as an open golden eye, but more often as not the amulet has been drawn as a closed golden eye whose lids open when its magic is activated to reveal the true "living" Eye of Agamotto inside. Template information for the papercraft model is below. The download includes PDF files of both the metallic and living versions of the Eye as well as lined and non-lined versions of each. Special thanks to Israel Skelton at skeltoncrewstudio.com for permission to use the photo of his Eye of Agamotto prop in the creation of this papercraft. This model by Harrison Ainsworth is one in a series of five glueless constructions of the Platonic solids built using standard business cards. 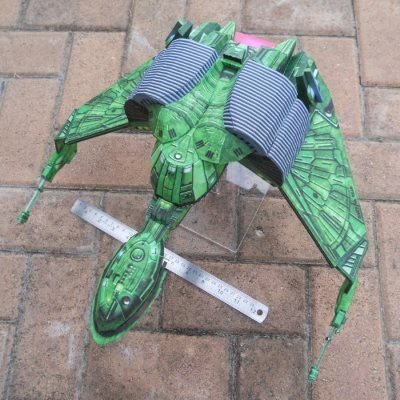 Detailed instructions for building each of the five models may be found at Harrison's website here. 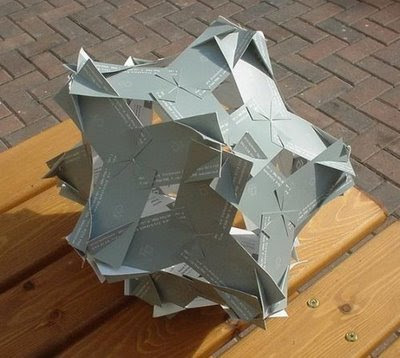 The pictured model is an icosahedron. Instructions are also available for models of a tetrahedron, a cube, an octahedron, and a dodecahedron. Here is one of the best paper automata I have come across in ages. The creator of the automata, J. Hodgie of Ontario, Canada, claims that this is his first attempt at paper automation, but he has done an excellent job. The model is specifically the Madcat/Timberwolf type battlemech from the MechWarrior video game series. To view a video of the model in action check out the post here on Instructables.com. Along with the video you will find a PDF download of the template and detailed instructions illustrated with photographs. There is a color-it-yourself blank template available for download as well if you are in the mood to customize. Before I built this car, the oldest papercraft template I had done was a 1934 Eiffel Tower. This template however dates back to 1915 and is scanned from an old McCall's Magazine of that year. I am not sure if this car is supposed represent a specific brand of automobile or if it is just a generic representation of the automobiles of the time period. A download of the two piece template is available from the Antique Automobile Club of America at their website here. 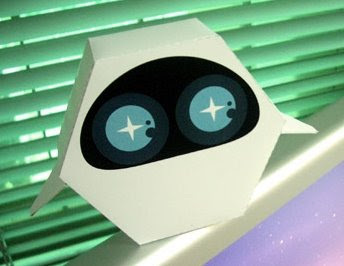 This cute paper toy is the 2008 creation of Shirley-Ann (a.k.a Missy) at the UK website missweblash.com. The toy is a bobblehead titled "Rusty Dogbot". The bobblehead action is provided by installing a spring from a retractable ink pen in the dog's neck. Missy's build photo of her toy shows the ears curled and treads attached the opposite of my build, but I kinda like the way mine turned out better. ;) If you want to build one for yourself, you can grab it here. Starwars.com has a total of 32 different paper masks available for download! The masks are offered in three separate collections. The Anakin Skywalker and General Grievous masks pictured above are part of a collection of 17 Episode III masks created by various Star Wars illustrators. 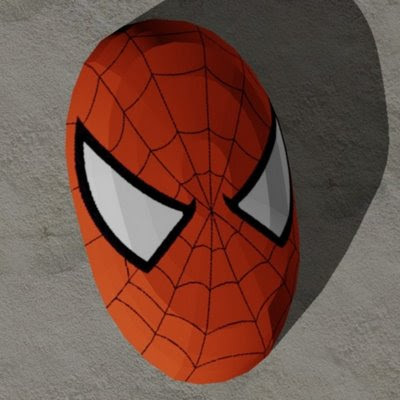 Downloads of the masks may be found here. The Asajj Ventress mask is part of a collection of 6 children's party masks of Clone Wars characters. These masks were issued to celebrate the premier of the Clone Wars 3D animated television series on Cartoon Network and are available here. 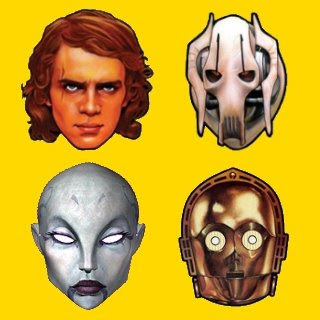 Finally, the C-3PO mask is available here as part of a collection of 9 masks of characters from the Star Wars Original Trilogy. These masks are scans of masks that originally appeared in the 1983 book, The Star Wars Book of Masks. Happy printing and cutting Star Wars fans! Update 10/12/18: Some of these masks are no longer available! I think most people know this already, but for those of you who don't... In an effort to make Tektonten Papercraft load as quickly as possible I have set eight as the maximum number of posts that display per page. This applies as well to the "List of Post Topics" shown at the left side of the page. So, for example, if you click on a post topic that indicates that it has a total of eleven posts you will initially only see the eight most recent posts under that topic. In order to see the three other posts of the eleven it is necessary to click on the "older posts" link at the bottom of the page. Thanks! The personal spaceship of the Looney Tunes character Marvin Martian was first introduced in the 1953 animated short Duck Dodgers in the 24½th Century. In the cartoon, Marvin lands his ship, the Martian Maggot, on Planet X to claim its "Illudium Phosdex" resources in the name of Mars. This 7.5" (19 cm) long paper model of the Martian Maggot was created by Mike Hungerford, USA in 2004 and is available for download at his website here.